1980. Book. As New. Soft Cover-illustrated. First Edition. 4to - over 9¾" - 12" tall. 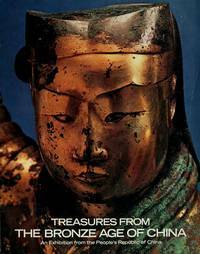 A beautiful full colour presentation of the superb works of art found in the tombs of ancient china, 117 colour plates All of our books are in the shop, and are 'real' books. We try to post the same day as the order. Descriptions are conservative. Postage rates may be lower than ABE estimate, please use Ask Bookseller a Question to confirm availability and postage cost, use [Ask Bookseller a Question] option below to confirm availability and get accurate postage quote for this item (the amount quoted is for an 'average' hard-cover book of up to 1kg in weight). Lahore: Ali Kamran, 1986. Book. As New. Full-Leather. 8vo - over 7¾" - 9¾" tall. Asian reprint of 1971 edition. nicely presented All of our books are in the shop, and are 'real' books. We try to post the same day as the order. Descriptions are conservative. Postage rates may be lower than ABE estimate, please use Ask Bookseller a Question to confirm availability and postage cost, use [Ask Bookseller a Question] option below to confirm availability and get accurate postage quote for this item (the amount quoted is for an 'average' hard-cover book of up to 1kg in weight). China All Provinces and Autonomous Regions. London: Bracken Books, 1980. Book. Very Good. Original Cloth. First Thus. Large 4 to. 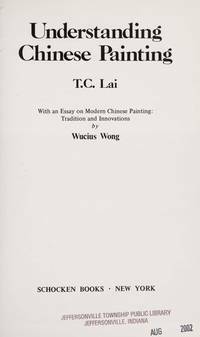 a large extensively illustrated book.a breathtaking and authoritative self-portrait of China, written and illustrated by experts who are themselves Chinese. All of our books are in the shop, and are 'real' books. We try to post the same day as the order. Descriptions are conservative. Postage rates may be lower than ABE estimate, please use Ask Bookseller a Question to confirm availability and postage cost, use [Ask Bookseller a Question] option below to confirm availability and get accurate postage quote for this item (the amount quoted is for an 'average' hard-cover book of up to 1kg in weight). Sydney, NSW, Australia: Angus & Robertson, 1951. Book. Very Good. Original Cloth. 1st. genuine 1st ed. endpaper maps and not clipped d/w. Collectable. All of our books are in the shop, and are 'real' books. We try to post the same day as the order. Descriptions are conservative. Postage rates may be lower than ABE estimate, please use Ask Bookseller a Question to confirm availability and postage cost, use [Ask Bookseller a Question] option below to confirm availability and get accurate postage quote for this item (the amount quoted is for an 'average' hard-cover book of up to 1kg in weight). Beijing: Marco Polo Travel Book. Very Good. Original Cloth. 4to - over 9¾" - 12" tall. foreword by Gough Whitlam. All of our books are in the shop, and are 'real' books. We try to post the same day as the order. Descriptions are conservative. Postage rates may be lower than ABE estimate, please use Ask Bookseller a Question to confirm availability and postage cost, use [Ask Bookseller a Question] option below to confirm availability and get accurate postage quote for this item (the amount quoted is for an 'average' hard-cover book of up to 1kg in weight). Book. Very Good. Original Cloth. Foreign Language Publishing House, Pyongyang, Korea, 1971-1972. Politics. Hbk, b/w ports, texts toned, edges slightly soiled, dust-jackets edgeworn & slightly soiled, covers slightly edgeworn, good copies All of our books are in the shop, and are 'real' books. We try to post the same day as the order. Descriptions are conservative. Postage rates may be lower than ABE estimate, please use Ask Bookseller a Question to confirm availability and postage cost, use [Ask Bookseller a Question] option below to confirm availability and get accurate postage quote for this item (the amount quoted is for an 'average' hard-cover book of up to 1kg in weight). N.Y.: Schocken, 1985. Book. Very Good. Original Cloth. First American. 8vo - over 7¾" - 9¾" tall. All of our books are in the shop, and are 'real' books. We try to post the same day as the order. Descriptions are conservative. Postage rates may be lower than ABE estimate, please use Ask Bookseller a Question to confirm availability and postage cost, use [Ask Bookseller a Question] option below to confirm availability and get accurate postage quote for this item (the amount quoted is for an 'average' hard-cover book of up to 1kg in weight).